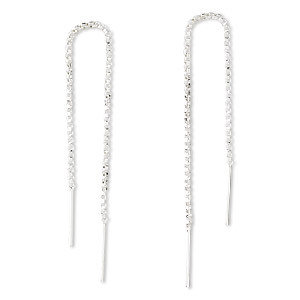 Ear thread, 14Kt gold-filled, 4-1/2 inch chain with 10.5x10.5mm diamond. Sold per pair. Item Number: H20-9526JW Have a question about this item? Gold-filled ear threads. Easy-on, just thread through pierced holes. 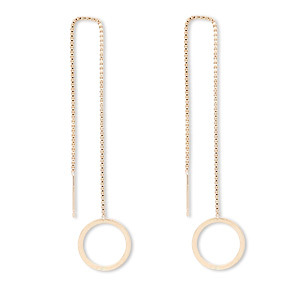 They dangle free and fluid on a long chain. 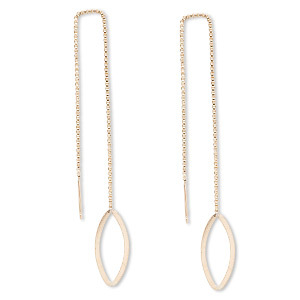 Ear thread, 14Kt gold-filled, 4-1/2 inch chain with 20.5x9.5mm open oval. Sold per pair. 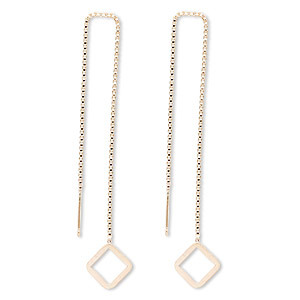 Ear thread, 14Kt gold-filled, 4-1/2 inch chain with 14mm hoop. Sold per pair. 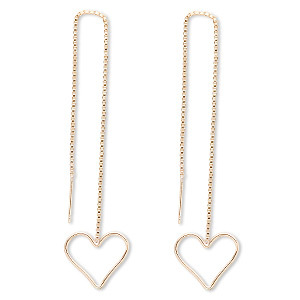 Ear thread, 14Kt gold-filled, 4-1/2 inch chain with 16x16mm open heart. Sold per pair. 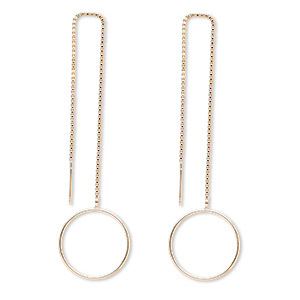 Ear thread, 14Kt gold-filled, 4-1/2 inch chain with 19.5mm hoop. Sold per pair. 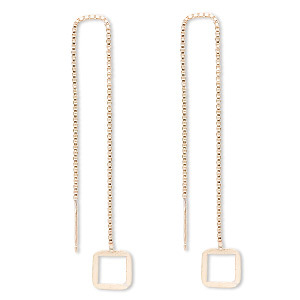 Ear thread, 14Kt gold-filled, 4-1/2 inch chain with 8.5x8.5mm open square. Sold per pair. 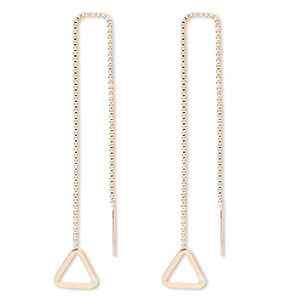 Ear thread, 14Kt gold-filled, 4-1/2 inch chain with 9x9x9mm flat triangle. Sold per pair. 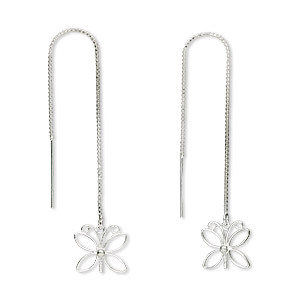 Ear thread, sterling silver, 4-1/2 inches with butterfly. Sold per pair. 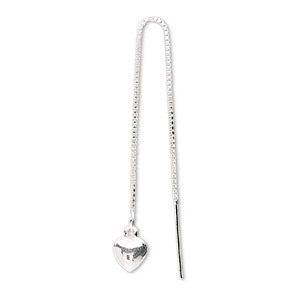 Ear thread, sterling silver, 3-1/2 inch box chain with 7x6mm puffed heart. Sold per pair. 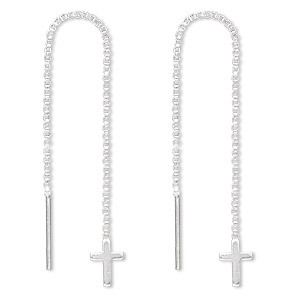 Ear thread, sterling silver, 2-3/4 inch box chain with 8x5.5mm cross. Sold per pair.